Put your old MacBook charger to good use with an AnyWatt MS power adapter. This post is presented by Elecjet. What did you do with the MagSafe power adapter for your old MacBook? When the peripherals for our devices become obsolete, we face a grim choice. Throw them into the trash, and contribute to the massive problem of e-waste, or toss them into the drawer, graveyard for forgotten accessories. That’s a lose-lose decision, so Elecjet created an adapter that can offer a win. AnyWatt MS is an adapter that turns any MagSafe or MagSafe 2 adapter into a power source for any USB-C device. That includes a wide range of MacBooks, Samsung and Google devices, and even the Nintendo Switch (among others devices). It’s compatible with the Thunderbolt cable in Apple Cinema Displays, too. So your screen at the office becomes a waiting power source for your new MacBook. The idea here is that, instead of tossing out or storing your old MagSafe chargers, you can just add this adapter and regain use of them to power a new MacBook or other devices. It can also mean you don’t need to carry around a chargers since you’ll have a handy spare. Say you’ve got a new MacBook. You’ll be using at home and at the office, where you’ve got a Cinema Display. With AnyWatt MS, you can leave your MacBook’s USB-C charger at home, and this adapter at work. All you’ll need to bring with you is your laptop. That wide range of compatibility is contained in a pocket-size device that makes a convenient addition to any bag or workspace. It’s a simple, compact design. 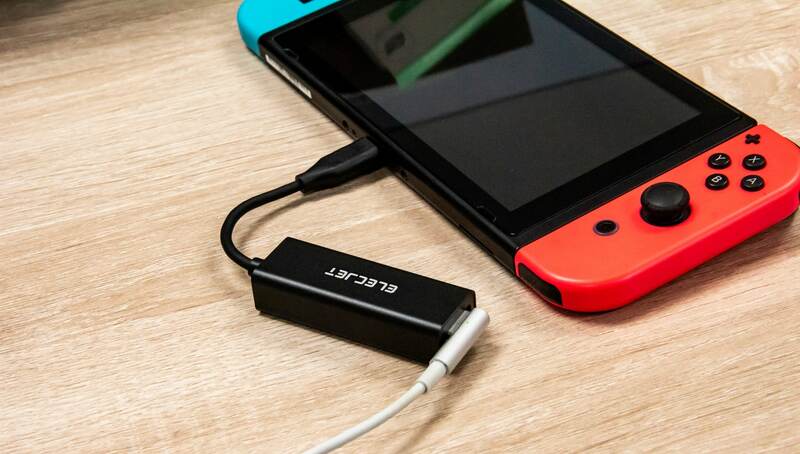 The AnyWatt MS can power Nintendo Switch and many other devices. 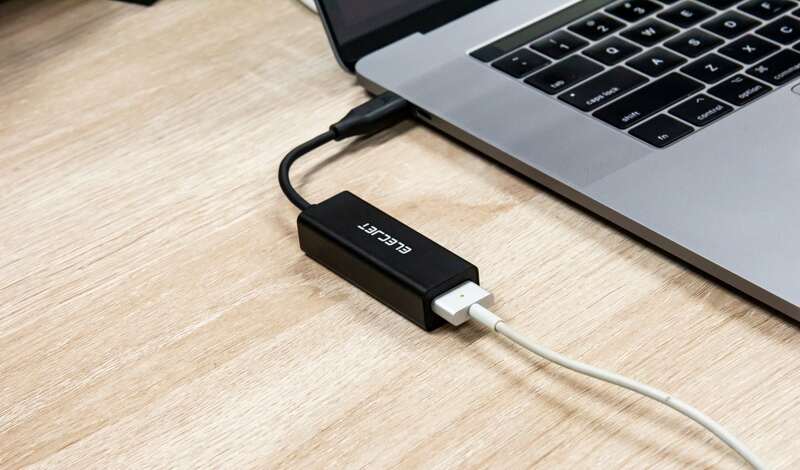 It’s the world’s first MagSafe-to-USB-C adapter that’s also USB-IF Certified. That means it meets high standards of speed and safety. In fact, AnyWatt MS includes JetSafe Tech that prevents overheating even in high-speed charging situations. It will detect any device that meets a USB power-delivery standard, automatically adjusting to the ideal voltage. One thing to note is that it supports MagSafe 1 chargers that operate between 60 watts and 85 watts, and all MagSafe 2 chargers. However, the 45-watt MagSafe 1 is not supported. And the 45-watt MagSafe 2 can’t be used to charge 13-inch and 15-inch MacBook Pros. (Elecjet offers a comprehensive compatibility list if you’re unsure.) AnyWatt MS ships with an 18-month warranty, so you’ll gain use of your old chargers along with peace of mind.